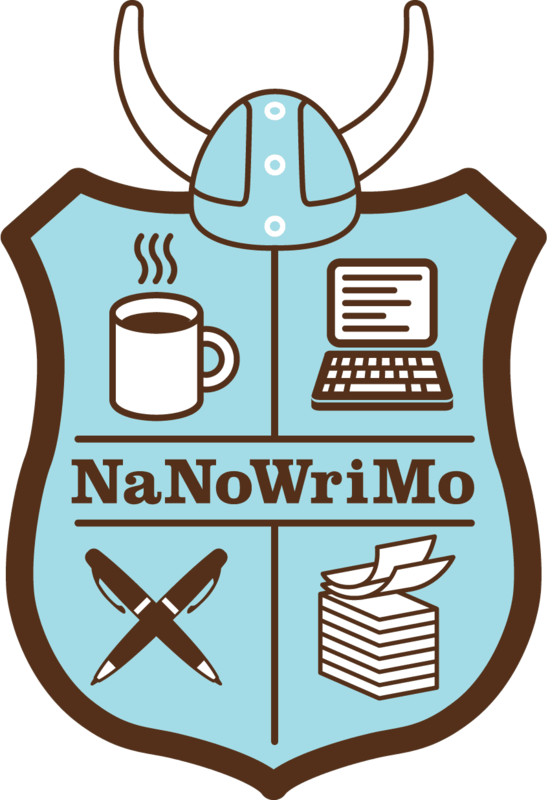 November is National Novel Writing Month, aka NaNoWriMo. This year, hundreds of thousands of people from around the world are toiling at their computers trying to write a 50,000 word novel in the month of November. That works out to writing an average of 1,667 words a day every day for thirty days. I am one of them. 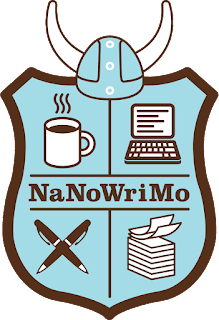 Last year I participated in NaNoWriMo as well. I started a new novel, a post-apocalyptic tale about a group of women who have survived in an underground shelter for eighteen years after the global collapse of society. I continued working on it throughout last December and January. Then I set it aside, and did some other things, like renovations, selling a house, buying a house, retiring, and moving. This November, I decided to pick up on writing the novel from where I left off, 50,000 words and 13 chapters into it. I have been spending hours on it every day. (That is why I have been neglecting my blog.) I am a slow writer. I do not write the way the NaNo website suggests — just flinging words onto the page without worrying about sentence structure, cohesion, or flow. I write carefully, rereading and editing as I go. I build the story brick by brick. That way, when it comes time to go back and revise the first draft, I will have something solid to work with, rather than a mess that seems overwhelming. I am really enjoying writing this novel. I spend my days in a fog, preoccupied by thinking about my characters and their trials and tribulations. Then when I sit down at the computer, the story just spools out of me. Well, autobiographical writing has a couple of big challenges. Although autobiographical writing, such as memoir, is about the self, every person is embedded in a social context. Therefore, when you write about yourself, you are also writing about people close to you. It is easy to offend, or to disrespect others' privacy. That can be hard, especially when you are in an ongoing relationship with those others that you would like to maintain, or when the things you are saying are negative. If you write innocuous things about other people, perhaps this issue of privacy is less of a problem, but bland accounts of past experiences do not tend to make very interesting reading. People like to read about conflicts, where there is a villain and a hero, and challenges are faced and overcome. There can be a real temptation to spice up the truth a bit, to add a bit of drama. But in memoir, as Mary Karr says, writing the truth is the fundamental rule that you must not break. So this is one of the reasons that I love to write fiction. I can make my fictional characters as nasty or as foolish as can be, without the risk of alienating someone in my real life. In fiction, I don’t have to leave out the embarrassing bits to spare someone’s feelings. Really, those juicy details are what make the story. Another thing about fiction is that you can make the plot do whatever you want. You are not constrained by the history of events as they actually happened, and therein is the true joy of fiction. You get to use your imagination to invent whatever strange world your creative self can envision. You can work out the complexities of your protagonist’s personality, and toss one crazy challenge after another at them, just to see how they behave. When you write fiction, you pose the question “What if?” What if a group of women lived in a shelter in tunnels and basement rooms under the ruins of a shattered university while lawless gangs roamed through the destroyed city scavenging for material goods? How would this character behave if she was spurned by her lover? What ethical choices would that character face when torn between following the rules of the collective or helping an outsider? Ultimately, that is the great value of fiction. You can put yourself into someone's circumstances and try to understand how they might think, feel, and act in that situation. Through fiction, you can acquire a deeper empathy for someone unlike yourself. Through fiction, you might just get a little closer to uncovering a truth of human experience. And, most of all, writing fiction is fun! By the way, if you are a NaNoWriMo participant and you would like to find me, I write under the pen name AnnaHarvey, and my current novel is called The Age of Grandchildren.